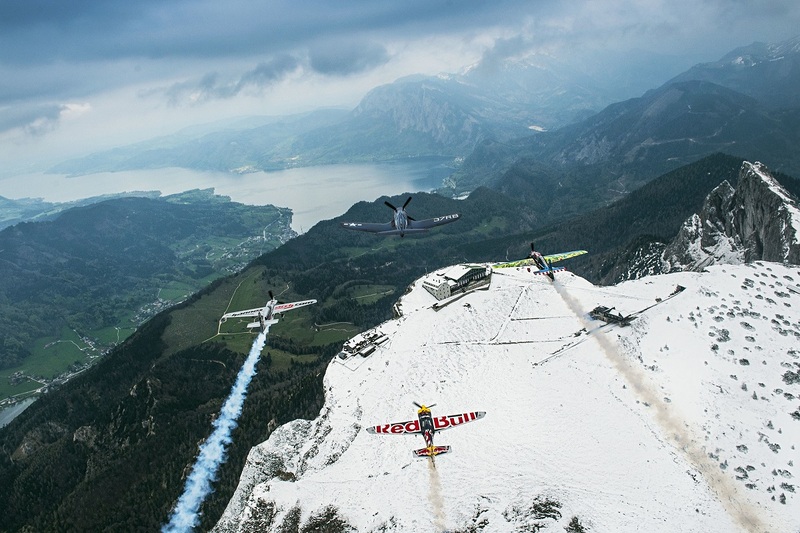 With just days to go before the 2016 Red Bull Air Race in Spielberg, Austria this weekend, world champion race pilot Hannes Arch shared a seldom-seen view of the mountains he calls home in a spectacular flight with Czech contenders Martin Šonka and Petr Kopfstein. 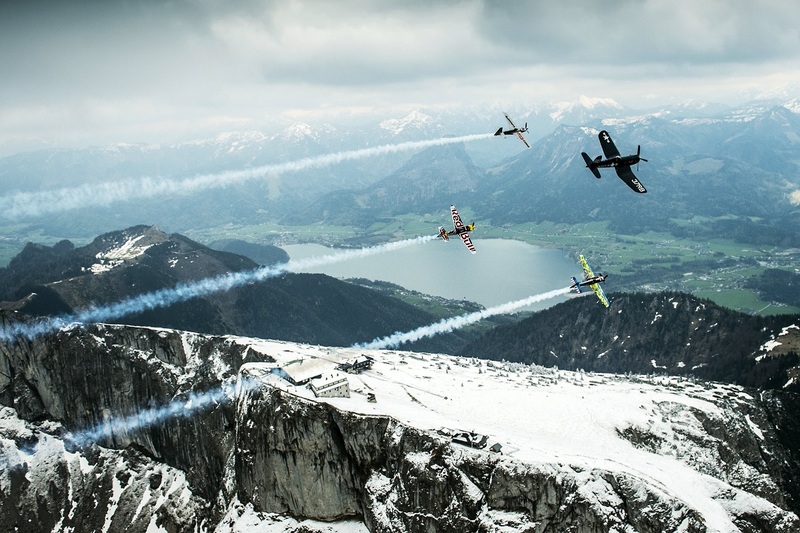 SPIELBERG (AUSTRIA) – The second stop of the 2016 Red Bull Air Race World Championship ­– coming to Spielberg, Austria this weekend – marks a literal high point: at 677 meters above sea level, the famed Red Bull Ring claims the top elevation of the eight-race season. 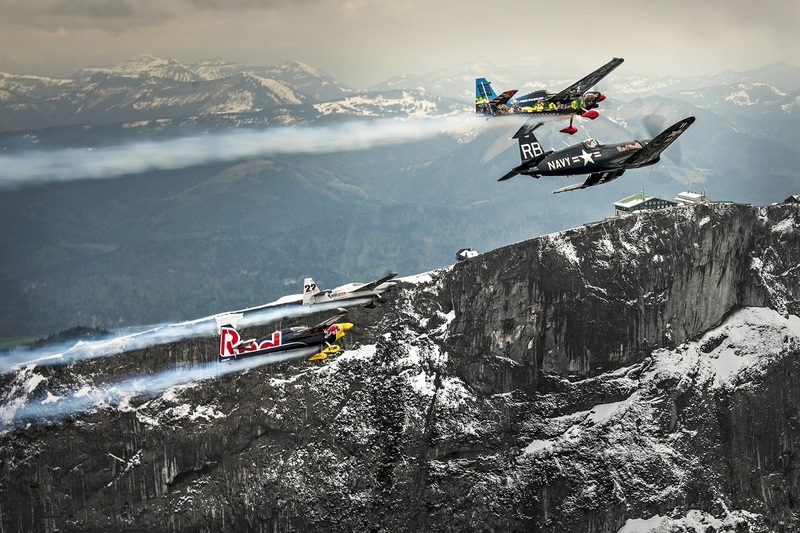 Ahead of training at the state-of-the-art Formula One track, home-country hero Hannes Arch took Czech pilots Martin Šonka and Petr Kopfstein even higher with a personal tour of the mountains he calls home. An added thrill: Joining the flight was the historic Chance Vought F4U-4 “Corsair” aircraft – one of only about 15 Corsairs left in the world – that’s part of the vintage fleet curated by The Flying Bulls organization at the Hangar-7 aircraft museum in Salzburg. The Austrian Alps provide some of the most spectacular vistas on the planet, and viewing them from their glass-enclosed cockpits allowed the pilots to experience the full power and majesty of nature. 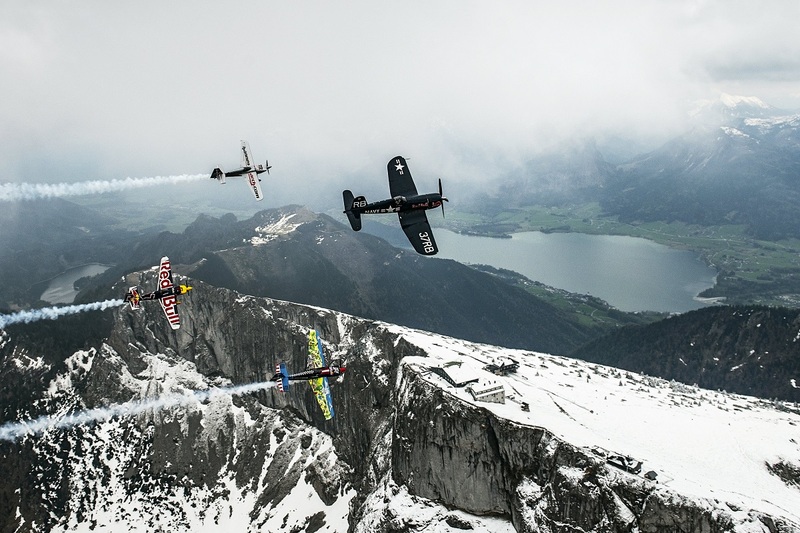 An expert mountaineer as well as an elite competitor in the racetrack, Arch feels a deep connection with the Alps and revealed breathtaking angles of famous crags like the Schafberg, with its surrounding lakes, and the towering twin peaks of the 2,458-meter Bischofsmütze. A Styrian native who won the World Championship in 2008, Arch will be looking for his first-ever home victory when the Red Bull Air Race visits Spielberg for the third time on 23-24 April. To earn it, the Austrian will have to battle not only Šonka and Kopfstein – who expect crowds of supporters from the Czech Republic – but 11 more pilots in a talent-packed field that includes Australia’s Matt Hall, who was the overall runner-up in 2015, and the men currently placed first and second in the standings, Nicolas Ivanoff (FRA) and Matthias Dolderer (GER).